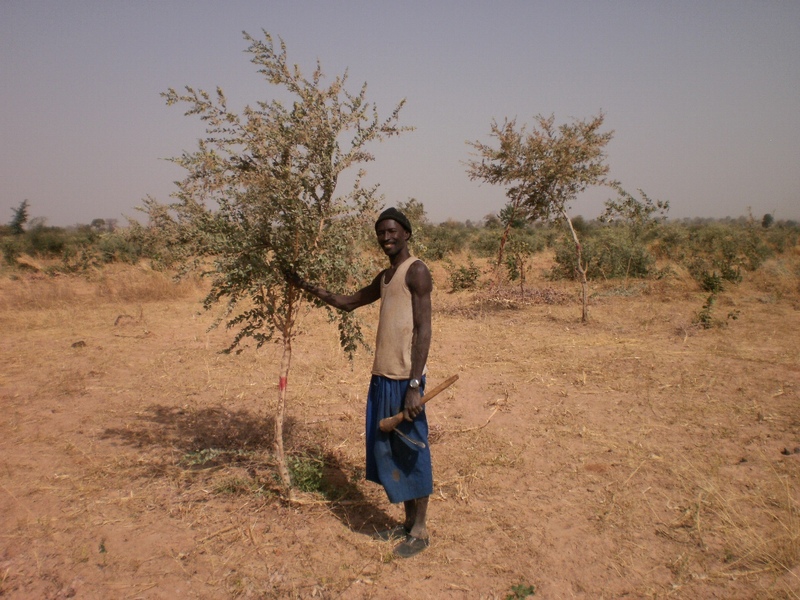 The World Vision-funded Beysatol (Work the Land) project has realised the adoption of Farmer Managed Natural Regeneration (FMNR) on over 50,000 hectares of farmland within a four year period. The impetus for implementing this project came from increasing levels of food insecurity and poverty linked to severe deforestation and resultant land degradation and the failure of conventional reforestation approaches despite great persistence and investment. World Vision project staff continuously investigated, negotiated and mediated how to best recruit new FMNR practitioners and support existing ones. Many farmers were uncomfortable with the idea of having trees in agricultural fields due to fear of losing management rights over trees on their land, fear of others stealing regenerated trees, and concern that trees would reduce crop yields through competition and shading. 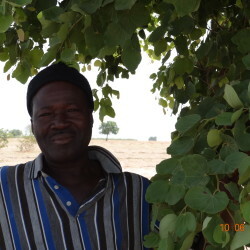 During the 2008 food crisis, food-for-work programs were tied to farmers practising FMNR. As the food crisis subsided, food-for-work was phased out and replaced with short-term support for income generating activities. In time, farmers realised that crop yields were increasing when trees were left in their fields. 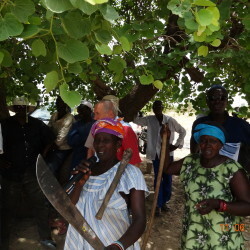 Before FMNR was introduced to the region, farmers (men and women) were sent on an experience-sharing visit to Niger where they interacted with farmers applying FMNR in even harsher conditions than in Senegal. This exchange was key in convincing early adopters. When women are not included in reforestation project plans, they may be accused of destroying the work in the process of collecting firewood. This was overcome by including women from the outset and by recruiting and training female FMNR champions as well as men. They are highly motivated to promote FMNR because they are the ones who suffer most when fuel wood is scarce. Significant time was required to understand laws and cultural standards for land and tree ownership and use, and to then advocate for enabling laws and cultural norms for reforestation to occur. This culminated in binding agreements being negotiated with the government forestry department, communities and traditional leaders. Regrowth preserved for FMNR is now marked with bright paint or a ribbon. This gives a regenerated tree equal ownership status to a planted orchard tree. Identifying FMNR trees in this way also prevents wood harvesters from claiming that they do not know the farmer is practising FMNR. The project worked with farmers, chiefs and the Forestry Service to “geo-reference” (perform GIS mapping of ) each farmer’s current fields. The supporting documentation provided a strong basis for agreement on land tenure from all parties, greatly increasing security of land tenure. 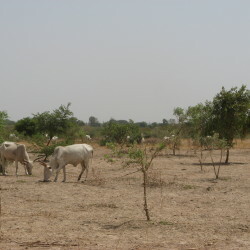 Once land possession is documented by households, government ministry and chief, it is difficult for any of these authorities to override it to seize the land for other purposes. Trees are a long-term investment. It is irrational for farmers to invest in trees and soil quality unless the legal processes provide assurance that the trees and land will remain in their possession long enough that they can benefit from that investment. Taking time to sort out tree and land tenure issues is a good investment of time. FMNR champions regularly visited farmers in their own fields to encourage them, discuss on-site potential, and help troubleshoot any difficulties. In design and practice, the project made a concerted effort to engage with Muslim and Christian leaders, who previously had not been involved in discussions about the environment. Many of these local religious leaders also became enthused and active in promoting environmental stewardship. Spiritual leaders are highly influential in forming farmers’ world views. They have been powerful project allies in winning the hearts and minds of the farmers. Regular follow-up with farmers in their fields greatly motivates and builds the confidence of farmers to adoptnFMNR. This follow-up was and is enacted by the forestry agents and farmers themselves. Like the Forest Service officers, farmer champions spent time each week with other farmers, providing encouragement, updated information, and advice on FMNR. They are known and trusted locally. Regular follow-up is the key for many or most farmers commencing and establishing FMNR. Most World Vision projects rely on one or two project staff, sub-contracted trainers and community volunteers. Compensated village-level FMNR champions are a rare inclusion which has contributed significantly to mainstreaming FMNR into farming practice.